Of all of the Muscle Pharm products out there, I would say Combat Powder is the best one. That is saying a lot because Muscle Pharm has a ton of products, and a lot of them are really good. As a weight trainer and a cyclist I have always been drawn to these products. 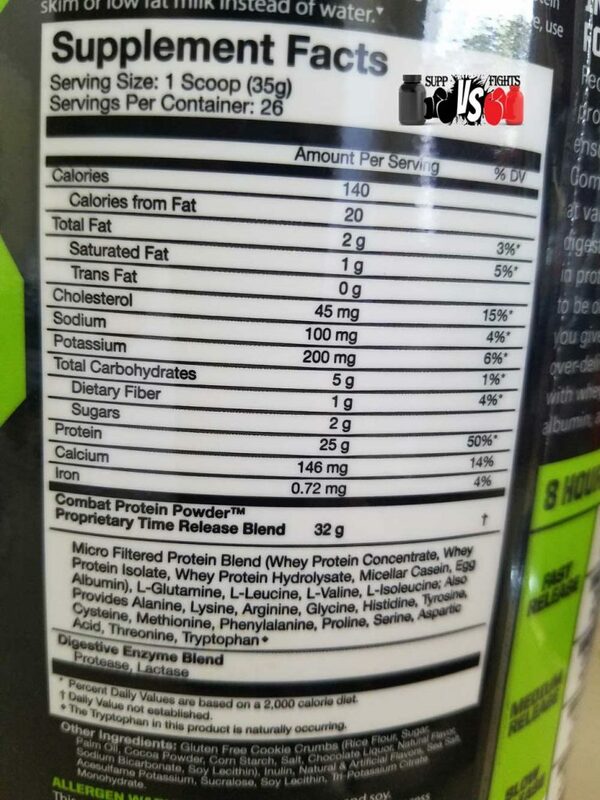 Combat is a Casein Protein Powder manufactured by Muscle Pharm. It utilizes the slowest digesting form of protein. Often used for a time released version of protein, it will help increase muscle recovery and strength. Combat Powder has the standard 24 grams of protein per serving. You should make sure to keep an eye out when buying a protein powder to make sure it doesn’t have less than 20 grams of protein per serving. This shouldn’t be a problem, as the majority of protein powders out there contain about 24-25. When looking for a protein powder you want to take the time to look at what types of protein go into the product (the protein blend). You want to look for whey protein isolate and whey protein hydrolysate, as these are the purest, most effective forms of protein. The protein blend in Combat Powder is remarkable, consisting of whey protein isolate, whey protein hydrolysate, and whey protein concentrate. Whey protein concentrate should ideally not be included in the protein blend, but this blend is still one of the best out there. 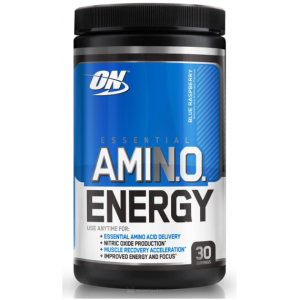 You rarely see a product that contains both whey protein isolate and whey protein hydrolysate. Another important thing to keep an eye out for when buying a protein powder is whether it contains branched chain amino acids or not, and how much of them it contains. Combat Powder contains several, including all of the most important ones when it comes to muscle recovery and growth- glutamine, leucine, valine, isoleucine. In addition, this protein powder only has 130 calories per serving which is very low. It also only contains 1.5 grams of fat, 5 grams of carbs, and 2 grams of sugar, so your muscle gain is going to be very lean. Something unique about this product is its digestive enzyme blend, which consists of protease and lactase, allowing for rapid and painless digestion with no bloating or gas. Always remember that the one thing that never lies when it comes to protein powders or any nutritional supplements is the nutrition label. You can always trust the label, so check it out for yourself and look things over. This is probably where the product shines the most. I have never ever had a protein that mixes this easily with water. I swear if you just swirled it around in a cup the protein will dissolve. 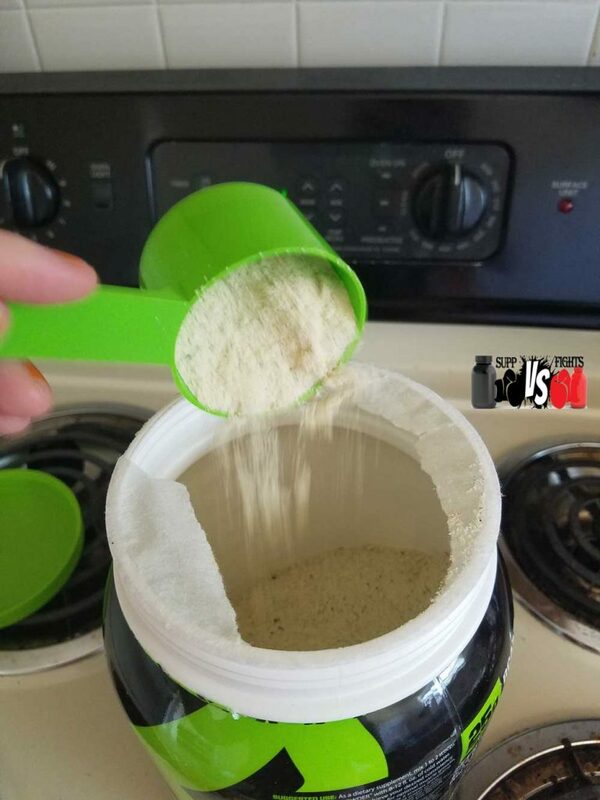 If you have a shaker cup then you won’t ever have to worry about this product mixing. 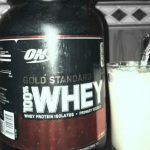 This is by far the easiest mixing protein I have ever taken. My personal opinion is that this product tastes phenomenal. 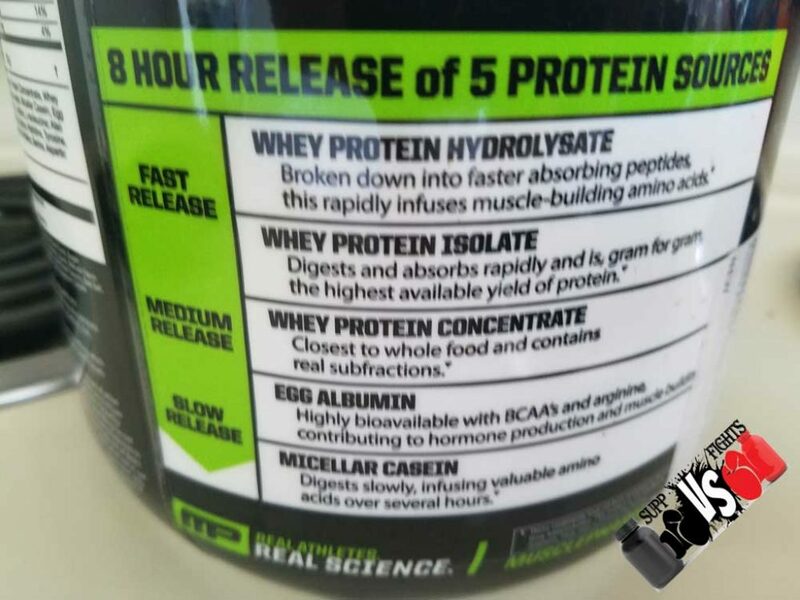 This is nothing to be surprised about considering the reputation of Muscle Pharm. They are always creating great tasting products. I have tried several of the Combat flavors and Cookies and Cream has always been my favorite. The protein powder does not taste for feel chalky at all. The consistency is great when mixed with water or milk. The flavors can be very satisfying if you have a sweet tooth and are craving dessert. I enjoy it mixed with milk or sprinkled over yogurt for a heathy and tasty snack. For many, taste can be a deal breaker when looking to invest in a protein powder. I would highly recommend Muscle Pharm Combat Powder if taste is important for you. If you are looking to gain muscle, this is a protein powder that I would highly recommend. Certain things about it make it not the most nutritious product you can buy, such as the high cholesterol and sodium in the mix, but it certainly will be effective in muscle gain considering the types of protein and abundance of amino acids. The BCAAs I mentioned above are all necessary for muscle recovery and growth. Glutamine primarily is one of the most important ingredients to look for when searching for an effective protein powder that will allow your muscles to fully recover and grow. 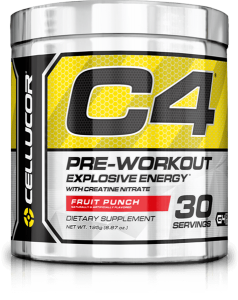 This product is best used after a workout or to add macros to your diet. 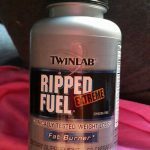 I have personally used this product and have read several other reviews on it, most of which were positive. Combat Powder is particularly effective for athletes. As an athlete myself, I highly recommend it. Combat Powder is another great product from Muscle Pharm. It is nearly perfect for athletes, and will indubitably cause muscle gain when paired with the right diet. It may not be the absolute healthiest in every way possible, but overall it’s a great buy and a very effective product. I speak to its effectiveness based off of personal experience, the reviews of others, and the facts that are right there on the nutrition label (whey protein isolates, whey protein hydrolysates, and BCAAs). 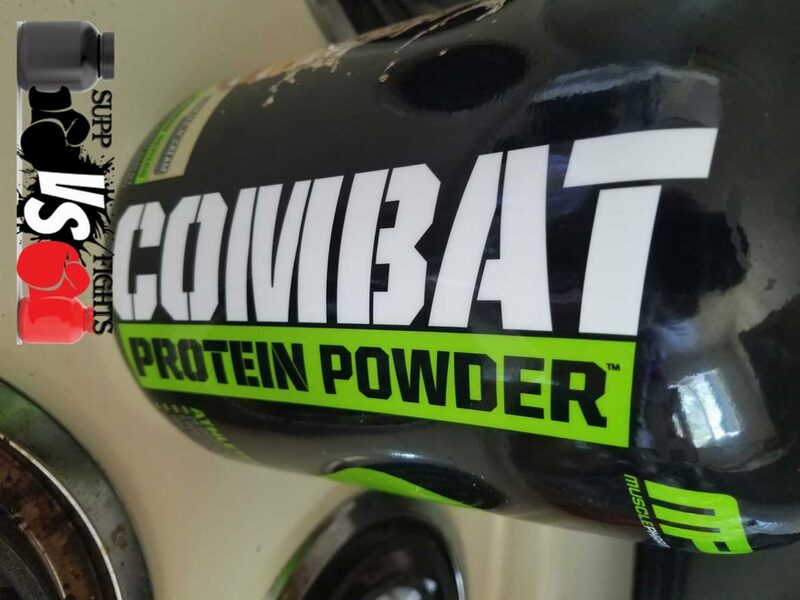 Combat Powder has a taste that will leave you craving it, making it easier to drink.